While involved in several start-ups, groups and organisations with collaboration as one of the key values in the last years, I’ve sat through many hours of governance discussions. Holacracy, sociocracy, autocracy and democracy are some examples of governance structures I have heard the ins and outs of. I’m not that interested in any of them or by governance discussions in general. As long as it feels OK to be in a place or community I stay. Hence, this is about values. A discussion about values must often come before a discussion about governance. Which values do we accept in our community or company? What values do our members, clients and collaborators have? And the more diverse values and worldviews we want to include, the more complex the governance model seems to become. To go fast; go alone. To go far; go together. But today I think you have to do both in a weird way. The entrepreneur often goes alone. The community builder must go together. Today both are needed to create a successful organisation. This paradox is delicate and quite hard to put into words. Good leaders can do this balancing act. However I wonder whether there might be different archetypal journeys from autocracy to holacracy and other complex governance models, which make it possible to walk both fast and together? 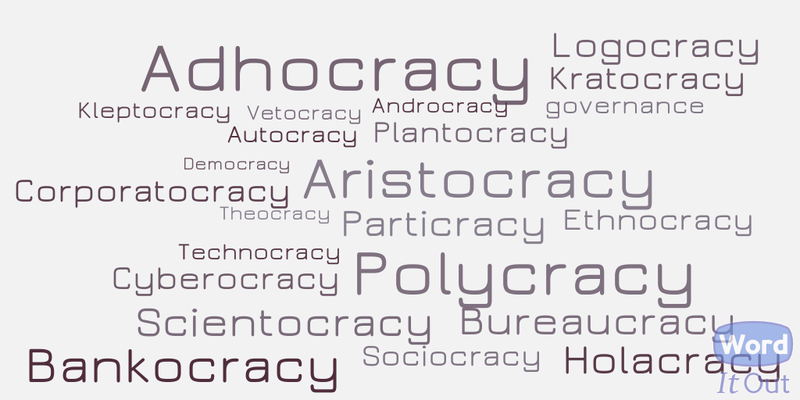 Autocracy – I think autocracy is good in the beginning of a venture. One or a few people decide what’s going to happen. Transparency is key here though. Let everyone else be in on what goes on. Oligarchy – Try to get 7-8 people onboard as advisors. Listen to these but move fast. Democracy – When you have something tangible like a physical space or a product. Open up and involve more people in a co-op or democratic process. 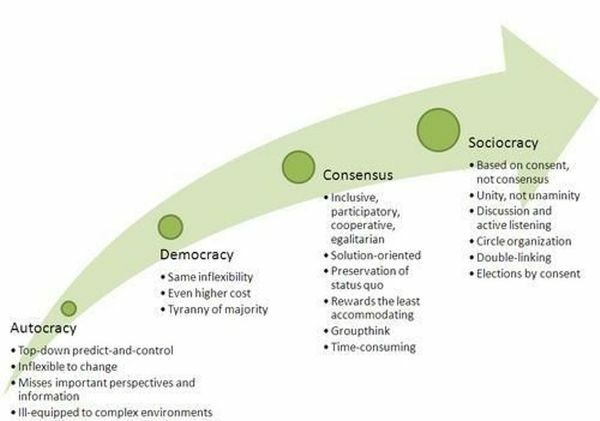 Sociocracy – Better than democracy when increasing complexity according to Janne J. Korhonen’s graph above. Holacracy. According to the people who came up with it, holacracy is good for agile decision making based on energy in the system. It seems to take more effort to maintain and use though. What are some other journeys you have noticed? We shouldn’t be afraid of trying new models of governance in small-scale experiments. Democracy is only an idea, which works in certain contexts. The challenge might be to create a world where any of all these types of governance is accepted, and where we acknowledge that they all have benefits at certain times. We might need an integral model which can hold all these and the new ones which we will dream up. Please let me know if you’ve seen any frameworks for such dynamic governance. What's Your Metaphor for the Future? Dear Robots. Please take our jobs.